As some of you may know, the federal government of Canada expanded the emerald ash borer‘s regulated area all the way to Québec City (and even more to the east) and included the City of Winnipeg. Those new limits indicate that the prairies and some of the Atlantic provinces will eventually be impacted by the destructive forces of the EAB. This sad news is a call for provincial governments and municipalities to undertake preventive measures to protect their ash tree populations. A map of this regulated area was unveiled on January 24th, 2018 and can be consulted here. It is important to know that it is forbidden to transport any kind of ash product out of those regulated areas otherwise fines and prosecutions can be faced. This includes ash logs, ash wood (and bark) chips, ash twigs, fresh ash leaves and fuelwood, as well as firewood of all species. 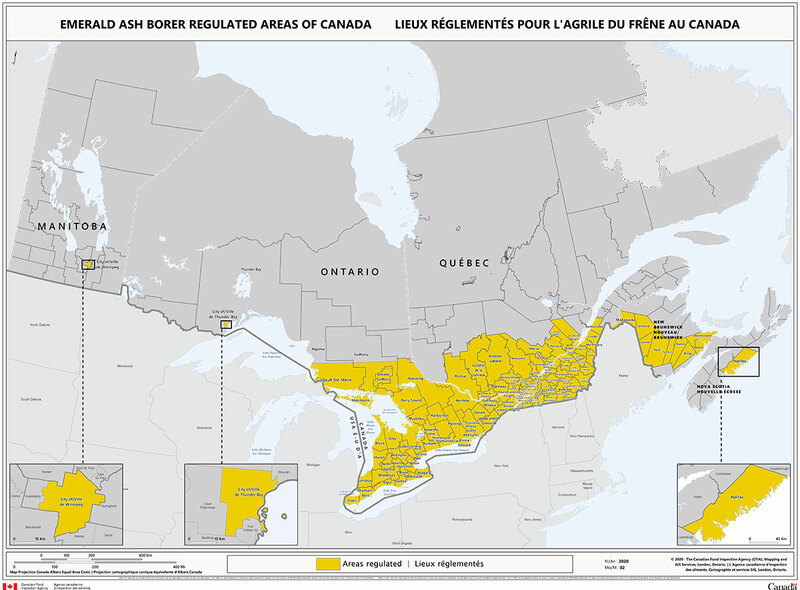 A certificate of transportation and/or prior accreditation by the Canadian Food Inspection Agency (CFIA) are the only conditions that could allow the transport of ash outside of this regulated area. 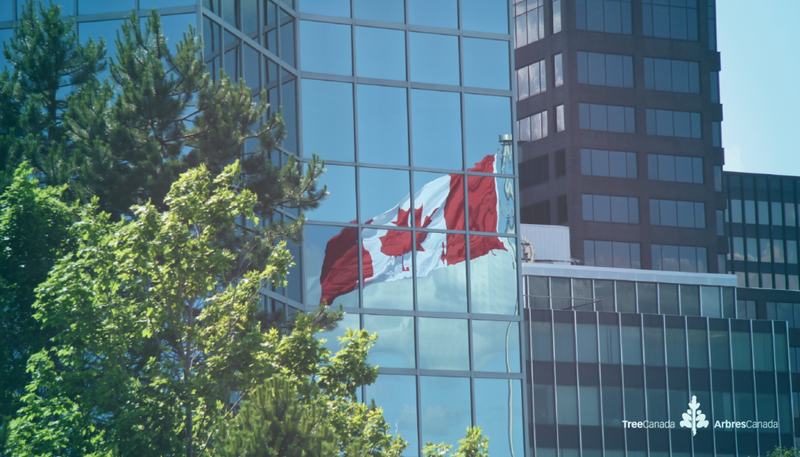 Directives (D-03-08) related to these regulations can be found on this CFIA web page. For more information on the emerald ash borer, please visit our web site at TreeCanada.ca. Fabrice is a forest engineer who worked with municipalities and urban forestry consulting firms in the metropolitan region of Montreal. He is a program manager at Tree Canada responsible for the #OperationReLeaf programs. Fabrice est un ingénieur forestier qui a travaillé avec des municipalités et des firmes de consultant en foresterie urbaine dans la région métropolitaine de Montréal. Il est un gestionnaire de programmes pour Arbres Canada, responsable des programmes #OpérationRenouvert.